Despite the fact that many U.S. denominations frown on booze or ban it outright, it’s nevertheless no surprise that Christian imagery has found its way into the argot of whiskey distillers based in some of the most devout regions on the planet. “The Angel’s share” refers to a certain small percentage of whiskey that seeps into the wood in barrels and usually evaporates. It’s become a minor trend to refer to this phenomenon. A bourbon fancier’s magazine is named for it, Jim Beam has found a way to extract the bourbon back out of the wood and perversely named it the Devil’s Cut. Meanwhile, famed bourbon distiller Lincoln Henderson, previously associated with the fine brands Old Forester and Woodford Reserve, has crafted a Kentucky straight bourbon he calls the Angel’s Envy. The booze press has been very kind to this bourbon and for good reason. It’s designed for the serious whiskey lover and is described as being ultra small-batch and super premium. By intelligent design, it’s not as smooth as some products but it mostly justifies its large, but not enormous, price (about $45.00 in most places) by being plenty flavorful. 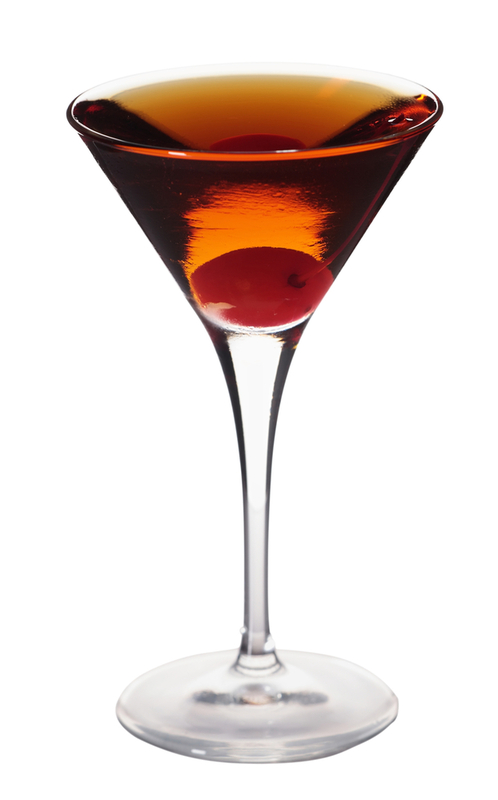 It makes for an excellent Manhattan, quite a sturdy Old Fashioned, and I imagine it would work equally well in most classic bourbon cocktails. It’s also excellent with just a little bit of soda water. Still, there’s always room for innovation. Henderson and his colleagues finish their product in casks previously used for port, and there is a hint of the richness of the dessert wine in the whiskey’s flavor. Logically enough, port is a significant ingredient in a number of recipes they’ve developed, including the one below that’s pretty ideal for the unseasonably warm weather going on in parts of the Midwest, even if it’s actually a bit cooler than usual here in sunny So Cal. In any case, this beverage is a nice one and simple enough for any soul. Combine bourbon, port, and bitters in a smallish Tom Collins glass with ice cubes and stir. Top off with ginger ale…it’s more interesting if you don’t stir it again at this point. Sip and ask for divine guidance on whether or not your soul will be safe if you try this very tasty concoction with another brand of bourbon. I really like the Angel’s Decree but, at the risk of sounding as if I’m in a state of heretical despair, I’m not sure it loves me. My issues with all true red wines — they make me feel, if I may use a technical term, icky — are what drove me to explore cocktails in the first place. Port is easily my favorite kind of red wine but, as I learned again this week, it’s still red and even in very small doses for me leads to feelings that are short of heavenly. That, however, should not stop you from enjoying the drink. 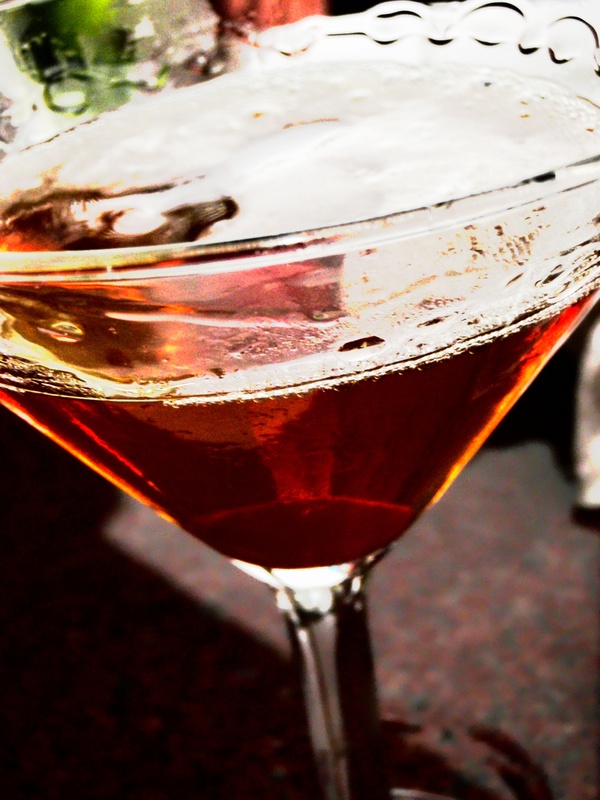 The good news for me is that the sweet vermouth you use in a Manhattan only looks red. (The color is mostly from the caramel used to give it’s sweetness.) I think that’s how I’ll largely be taking my Angel’s Envy. Regardless, I trust no celestial being will be in hot pursuit of my footwear as a result.